Rotary Kicks Off the Summer Discovery Reading Program! 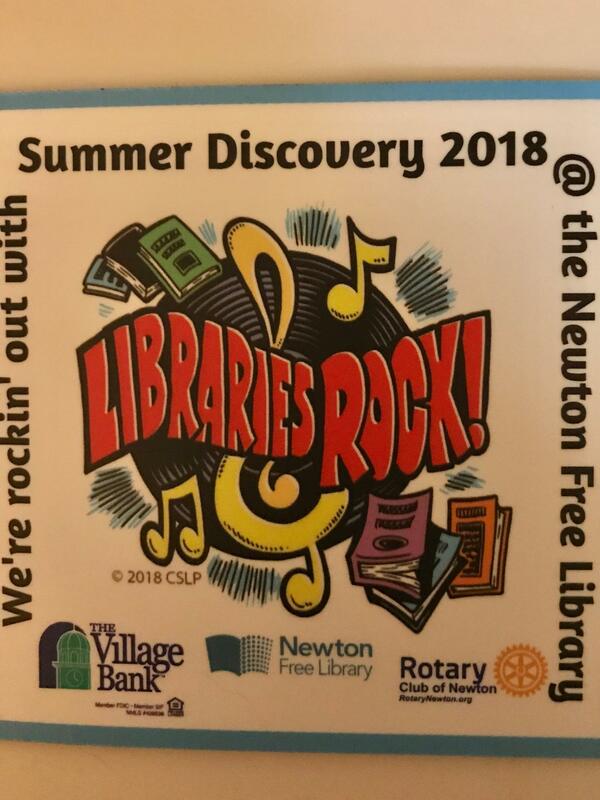 We kicked off the Newton Free Library's Summer Discovery Reading Program at Newton City Hall earlier tonight, sponsored by the Rotary Club of Newton and The Village Bank. Rotarians assisted with distributing snacks, helping children make personalized book marks, and singing and dancing to the rocking music! Incoming president Susan Goorvich Paley joined Mayor Ruthanne Fuller and children’s librarian Amanda Bushnell Bressler in welcoming the crowd and encouraging them discover new worlds through reading this summer. Thanks to Rotarians Harriet Christina Chu, David Sellers, Rae Mintz, Paul Daigle and Susan Goorvich Paley for helping out!